TRENTON, New Jersey -- New Jersey's attorney general wants to settle a lawsuit that would end the state's ban on civilians buying stun guns. The settlement talks involve a federal lawsuit filed in August by Mark Cheeseman and the New Jersey Second Amendment Society and stem from a U.S. Supreme Court ruling that suggests stun guns are protected under the Second Amendment. In a letter to the judge, Attorney General Christopher Porrino wrote "that an outright ban on the possession of stun guns within a state, regardless of the contextual circumstances surrounding any such possession, would likely not pass constitutional muster." Attorney Steven Stamboulieh, who represents the society and Cheeseman, said "it was a step in the right direction." However, he wants the judge to first find the ban unconstitutional. New Jersey is one of five states - Hawaii, Massachusetts, New York and Rhode Island are the others - that prohibits civilians from buying stun guns. Other cities and counties also have bans. Porrino wants to ensure that State Police Superintendent Col. Rick Fuentes can craft regulations governing the possession, use and sale of the devices, which emit an electronic charge to disarm an attacker. Stamboulieh worries the regulations could be too restrictive. 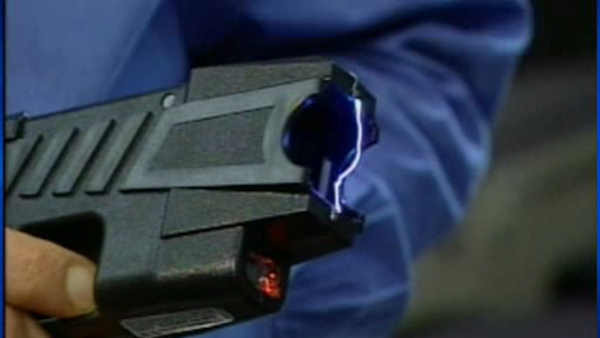 Regulations permit police officers in New Jersey to use stun guns. The attorney general's office said it cannot comment because the issue is still pending before the court. Porrino cited a U.S. Supreme Court ruling in March that overturned a Massachusetts court that had upheld that state's ban in the case of a homeless woman, Jaime Caetano, who used a stun gun to scare away a former boyfriend. Justice Samuel Alito Jr. wrote in a concurrence that, "by arming herself, Caetano was able to protect against a physical threat that restraining orders had proved useless to prevent. And, commendably, she did so by using a weapon that posed little, if any, danger of permanently harming either herself or the father of her children." While supporters say stun guns are a nonlethal form of protection, there have been dozens of lawsuits filed against police departments after suspects zapped with stun guns have died.